We finally have our first glimpse of what Cydia looks like on jailbroken iOS 7, and although we’re still quite a bit of a distance away from an untethered jailbreak across the board, it’s good to have a sneaky preview of the work currently in progress. 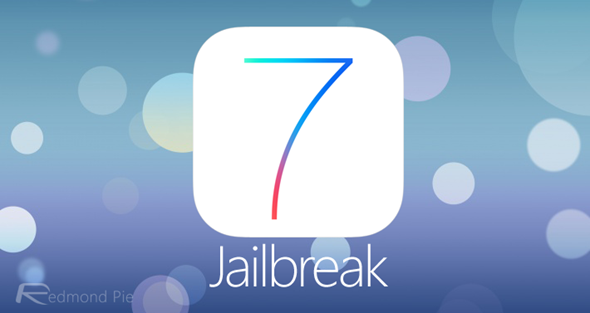 With every new iOS release, attentions quickly turn to the jailbreak scene, and with MuscleNerd having recently stepped out and assured existing iOS 7.x users that it was safe to update to iOS 7.0.2 earlier this week, we at least know that work is being done to make the jailbreak an eventual reality. Cydia for iOS 7 certainly doesn’t look the smooth, finished article to which we are accustomed, but it’s encouraging enough just to see it running on the latest and greatest version of Apple’s mobile operating system. iOS developer Cjori has been working very hard in trying to tap into the newly-released firmware, and below, you’ll be able to see the screenshots of Cydia in action on Apple’s new mobile OS running on A4-based limera1nable iPhone 4. Cjori told Redmond Pie that he used OpenSn0w to tether-jailbreak iOS 7 on A4 based iPhone 4. Cydia was recompiled from source with the iOS 7 SDK and he manually debugged all of the issues encountered using various UNIX tools. When asked if he will be releasing this iOS 7 compatible Cydia along with instructions on how to tether-jailbreak iOS 7, he said that while Cydia itself seems to be stable, a lot of the things revolving around it and jailbreak in general are very unstable, therefore he does not plan on releasing it at this point, but he might do so in future once things are fixed. These screenshots serve as nothing more than a teaser at this point for what may eventually be, and with a couple of months’ wait being the typical period between new iOS release and major jailbreak, we could well see some significant progress from other teams involved, such as Evad3rs, before the close of the year. We are, as many of our long-term readers will know, very much partial to a jailbreak here at Redmond Pie, so as and when something noteworthy happens, you guys will be among the first to hear about it. Make sure you stay tuned to our coverage for all of the emerging information as it surfaces! 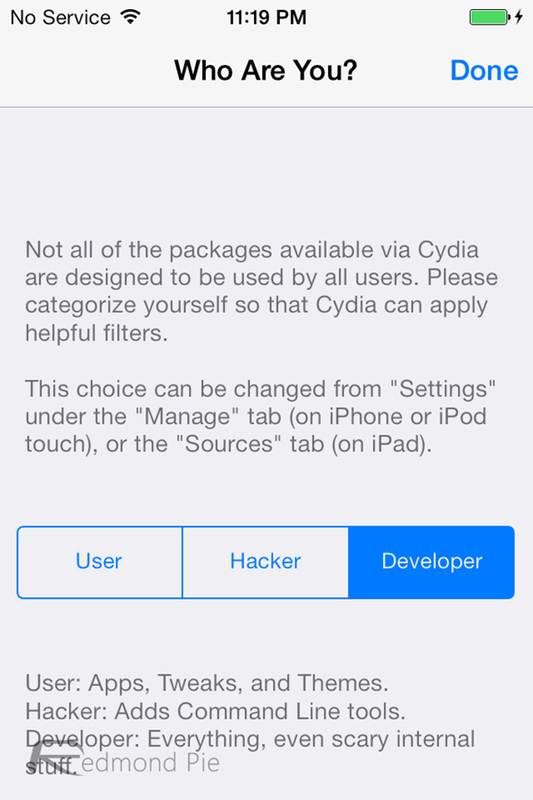 While talking to Jay Freeman, the author of Cydia, we found out our original title for the post, ‘First Look: Cydia On iOS 7 [Image Gallery]’ was actually based on a third-party modification to the Cydia open source project, and was not indicative of what Cydia officially will look like on iOS 7. Again, this is just a third-party port by Cjori of an older version of Cydia on iOS 7, not the official thing. We have corrected the title, and apologize for any confusion we may have caused. If you are still sporting an older A4-based device such as the iPhone 4, you can now downgrade back to iOS 6.x from iOS 7. Follow our guide on: How To Downgrade iOS 7 To iOS 6 (6.1.3 / 6.1.2) [Tutorial]. While there hasn’t been much progress on iOS 7 jailbreak, things are looking bright on 6.1.4/6.1.3 jailbreak front. Both iH8sn0w and Winocm are working round the clock on it and now it seems like there is an ETA on the release. Read iOS 6.1.3 / 6.1.4 Jailbreak Release Gets An ETA for more info. Update x4: iOS 7.0.4 download is out. So is Beta 1 of iOS 7.1 download. MuscleNerd of Evad3rs has confirmed iOS 7.0.4 as safe for update for future jailbreak. While it is advised to stay away from iOS 7.1 betas until further notice.